These large plaques have been chalk painted in a choice of 5 different soft tones all of which have been distressed around the edges. You choose your own words and I will create the artwork for you with a choice of 4 designs. 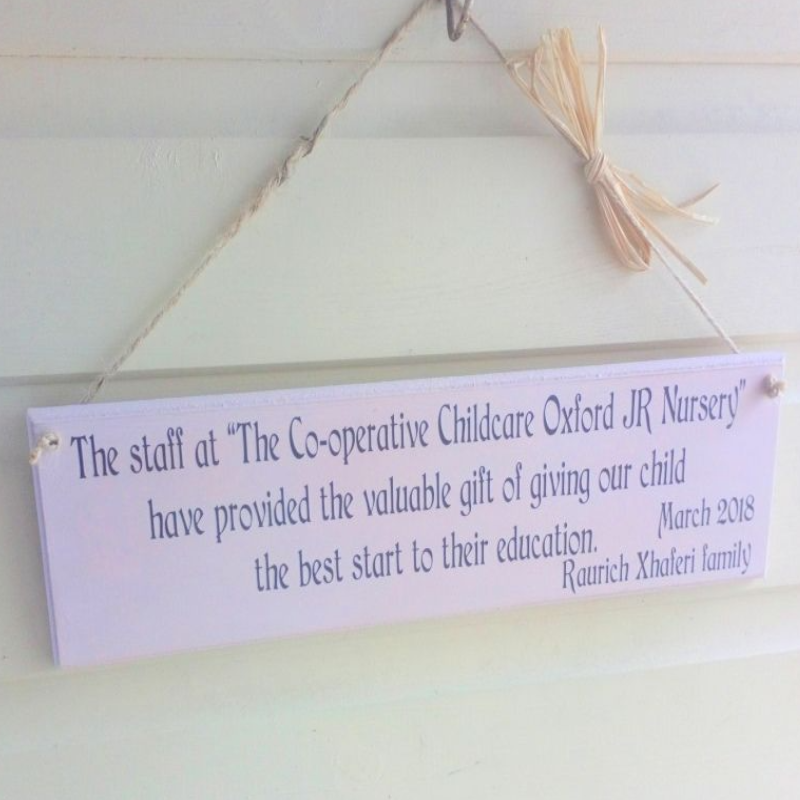 Once we have your confirmation that the chosen artwork is ok we cut it and apply it to your chosen coloured plaque. It's then waxed for protection. We drill two holes in the top two corners so you can hang it. It comes with a removable raffia or gingham bow. 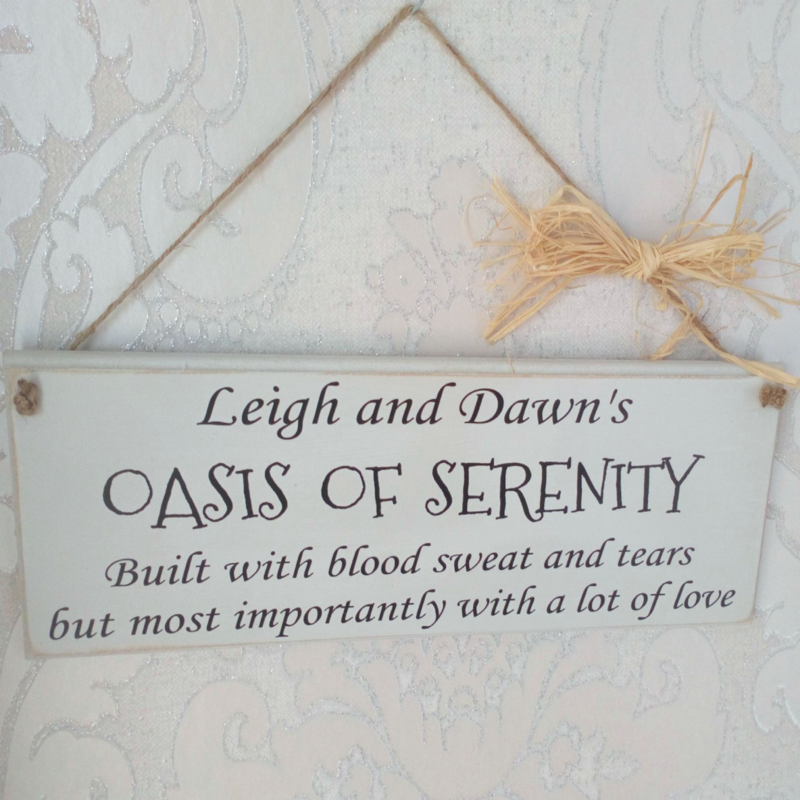 So glad I found Kenzocrafts, I had this plaque personalised as a reminder to my wife and I how hard times become beautiful again. I received the most beautiful designed plaque. The service was second to none, I would recommend this small family business.